After realising it was too late to try and get tickets for the Becoming Picasso: Paris 1901 exhibition at the Courtauld Gallery, I ended up coming across this rather large exhibition at Somerset House. Exhibiting in 17 rooms (! ), the showcase focuses on the use of landscape in all areas of photography. The displays vary from astrophotography, such as Voyager 1’s Solar System Portrait: Earth as a Pale Dot (1990) and the Cassini Spacecraft’s Saturn and its Moon, Dione (2005), to text-based landscapes like Maine (2009) by conceptual artist Susan Evans. The rooms are categorised into 10 ‘themes’ or sometimes states: Sublime, Pastoral, Witness, Landmark, Scar, Datum, Control, Delusion, Hallucination and Reverie. 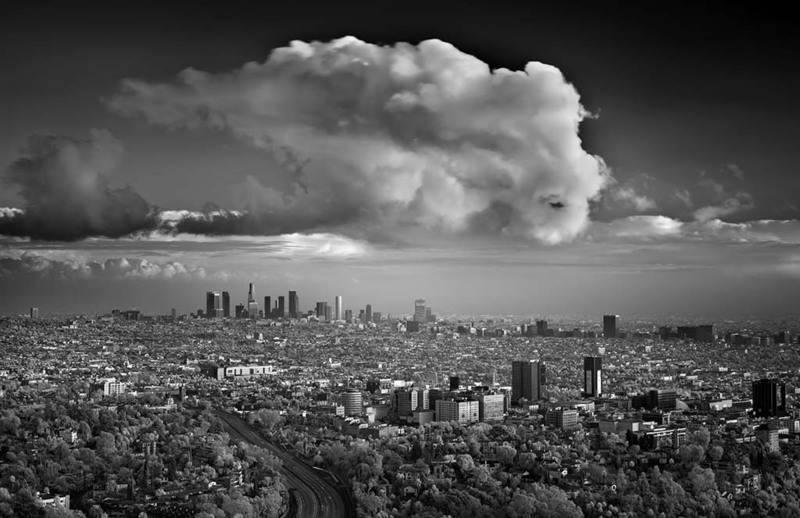 Mitch Dobrowner, Big Cloud, 2010. Image via www.lejournaldelaphotographie.com. I found this exhibition rather interesting, though the 17 rooms easily tired me out – even the Tate or the Royal Academy of Arts doesn’t use this many rooms! The range of photographs really shows the diversity of landscapes. In a way it challenges what we consider landscapes to be, no longer thinking of them as just images of our surroundings. Maine replaces the elements of a landscape with their corresponding words, for example, an actual tree will be replaced by the word ‘tree’. 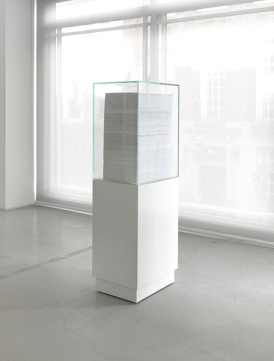 As for Dan Holdsworth’s XYZ Volume, Yosemite Valley (2012), it consists of over 6000 sheets of paper, printed with the XYZ coordinates required to virtually map out just over 300 square miles of Yosemite Valley, California. Dan Holdsworth, XYZ Volume, Yosemite Valley, 2012. Image via lightbox.time.com. I noticed in quite a lot of the photographs there was an emphasis on scale. We’d see vast landscapes featuring people who take up a tiny fraction of the image. Mitch Dobrowner’s Trees-Clouds (2009) captures a seemingly large cloud with several trees in the bottom-left corner. Graue Wand (Diptych) (1997) by Walter Niedermayr presents us with images of mountainous regions, upon which there are groups of people in them, all of them appearing as minute beings. 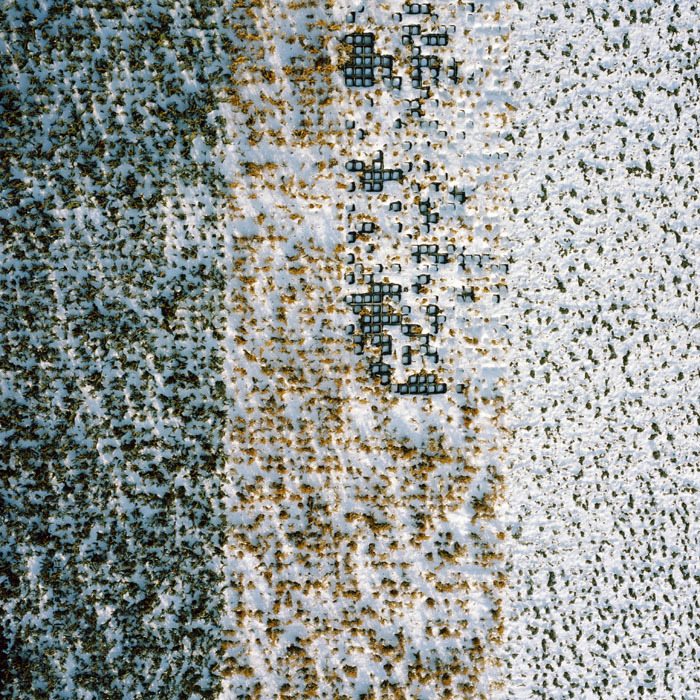 The same emphasis was seen in aerial photographs such as David Maisel’s Lake Project series. A particular image that caught my eye was Gerco de Ruijter’s Almost Nature #08 (2012) where plants are naturally arranged in such a way that they are neatly segregated from plants of other colours. I originally thought the orange-yellow plants were training Shaolin monks. I was slightly disappointed at the revelation after extremely close analysis. The project was apparently supposed to represent the photographic grid. Gerco de Ruijter, Almost Nature #08, 2012. Image via www.tulca.ie. I also noticed the exploitation of photomontage, which challenges the notion of landscapes as being straight photographs. Two independent Chinese photographers, Yao Lu and Yang Yongliang, digitally manipulate their images to evoke the shan-shui (mountain-water) landscapes of the Song Dynasty. They are meticulously collaged to create such an impression, and any visitor who didn’t examine the images closely would have easily been deceived. Landscape photography is now turned into picture-making, reverting back to traditional painting. It is also used in portraiture, such as in John Stezaker’s Old Mask series (2006) where the forms of the landscapes are used to represent and replace the facial features of its subject. 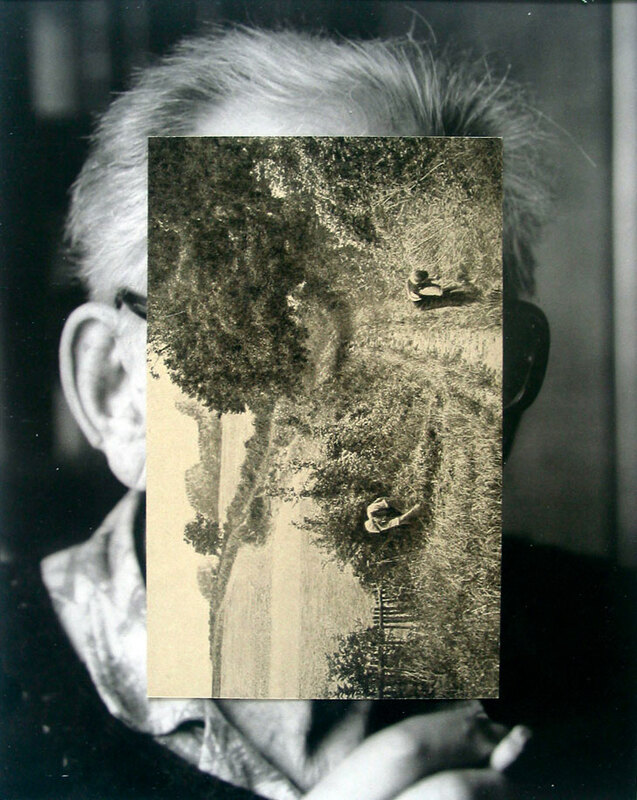 John Stezaker, Old Mask 1, 2006. Image via www.saatchi-gallery.co.uk. The exhibition is an intriguing one and it’s definitely worth a visit, provided you’re willing to walk through the 17 rooms. Unfortunately, there isn’t any more explanation other than the introductory text, which doesn’t really explain that much. I guess it’s an exhibition designed to make you think, which isn’t all bad, I must admit. After all, photography exhibitions do need to provide some sort of incentive to keep their visitors interested. For a rather less publicised event, there were a surprisingly large number of visitors in there. Then again it was free – incentive enough for you? Perhaps you’ll do what I did: try and get Picasso tickets and end up visiting a much larger exhibition that’s completely free! Landmark: The Fields of Photography runs until 28th April 2013 at Somerset House, London, www.somersethouse.org.uk.